By all accounts, this is an extraordinary election year. At the national level, we are all witnessing a historic shift in how politics at the highest level is being waged with name calling, twisted truths and divisiveness. 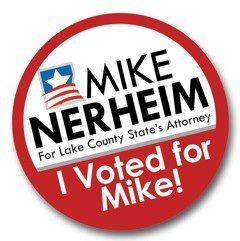 Seeking Justice, not partisan politics, is what drives me and my office, and should be what drives you to make the best choice for State’s Attorney–Lake County’s top law enforcement elected official. There is no place in this race for negative campaigning or the introduction of bullying or personal attacks. 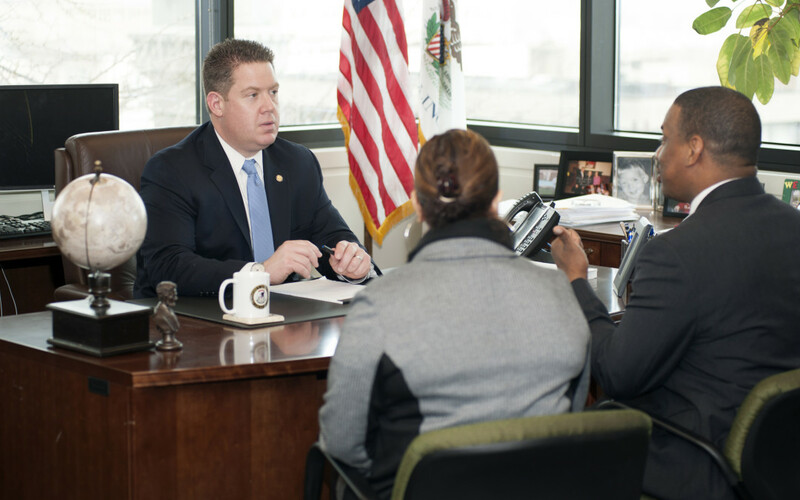 I am committed to running on the facts–a lifelong commitment to seeking justice, that can be seen in the accomplishments and the pride that has been restored in the Lake County State’s Attorney’s Office during my first term. This is why, with less than four weeks to go until Election Day, I want to provide each and every citizen with meaningful, factual and inclusive information to make a fully informed decision on how you vote on November 8th for Lake County State’s Attorney. 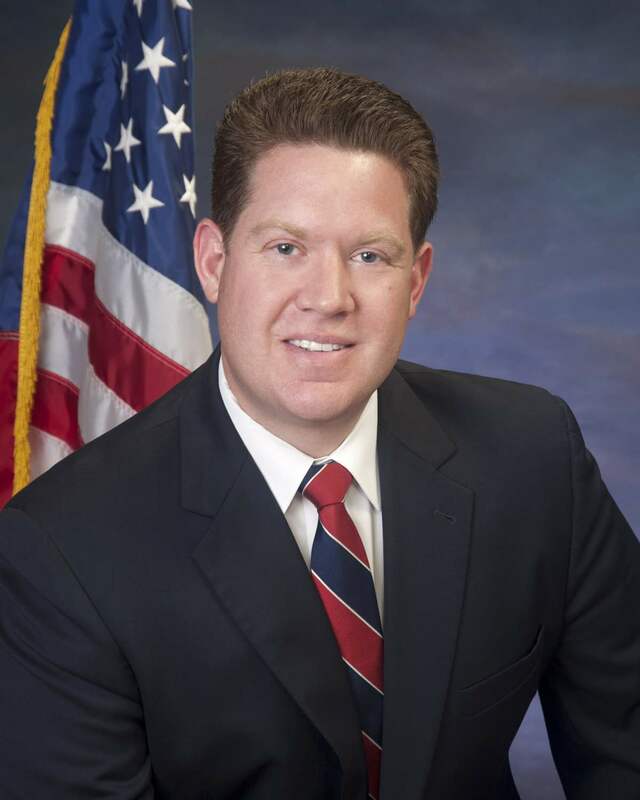 The information, facts, articles and videos on our campaign website and social profiles is intended to empower each and every voter with knowledge about what has been accomplished, how it has improved the quality of life in our county, what remains to be done and the opportunity to hear from a diverse representation of judges, lawyers, officials, community leaders and ordinary citizens. I am intent on running on my record and not bending to negative campaigning or personal attacks. I also want to assure each and every one of you that I am committed to seeking justice for ALL of Lake County’s citizens. As promised in my first campaign I helped restore trust in the State’s Attorney’s Office by making operations more effective, transparent, efficient and cutting waste. I attacked the problem of wrongful convictions head-on by establishing an independent Case Review Panel, in-house Conviction Integrity Unit, and Citizen’s Advisory Board. I also streamlined the felony review process and created the Alternative Prosecution Program for first-time non-violent offenders. The office has a new perspective through the hiring of a more diverse team that better reflects the people we serve. I am working hard to fight the opioid problem here in Lake County. I co-founded the LC Opioid Initiative, spearheaded the campaign to get the overdose-reversing drug Naloxone into the hands of police first responders, and helped initiate the “A Way Out” program, which allows those fighting the effects of drug abuse to seek help from police without fear of arrest. I strongly believe all of these programs must move forward and grow. We also need to keep looking more carefully at the root causes of wrongful convictions and how we can continue to put practices into place to prevent them. We also need to create support systems and find jobs for people coming out of jail or off probation in order to help them avoid the revolving door of crime. We need to continue to be aggressive with street gangs and the violence they bring to our community. I have had a lifelong commitment to seeking justice. That commitment can be seen in the pride that has been restored to the Lake County State’s Attorney’s Office during my first term. I ask for your continued support and your vote on November 8th.